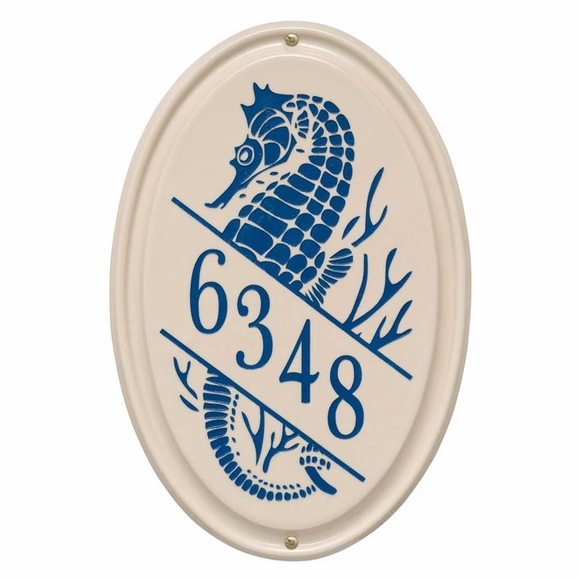 Ceramic House Number Sign with Sea Gull - - vertical wall sign holds a house number with up to 5 digits. Made in USA. Oval shape wall plaque hangs vertically and fits into narrower spaces. Displays your house number in large 3" numbers and a large seagull. Seagull and numbers come in four different colors: dark blue, green, sea blue, and coral. Similar ceramic address signs are shown in Related products.